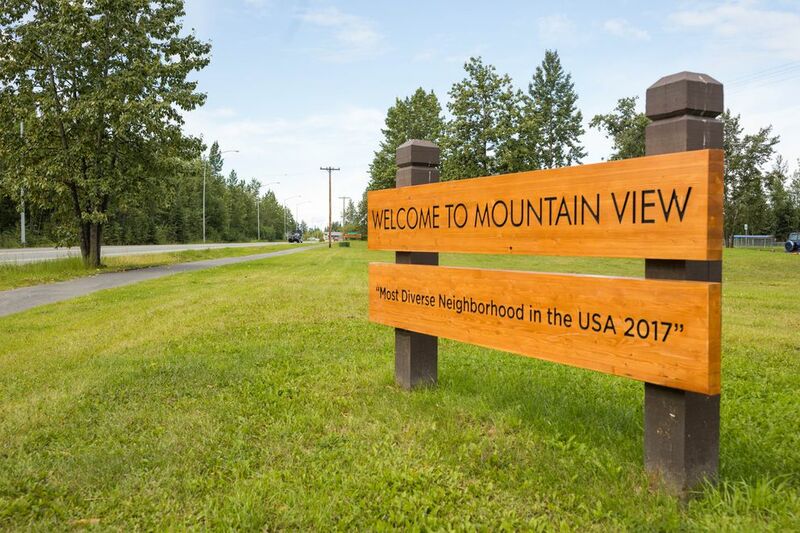 Until earlier this month, weathered wooden signs welcomed visitors to the Anchorage neighborhood of Mountain View as the "USA Neighborhood of the Year – 1989." A reminder of a national award for the neighborhood clean-up program, the signs had become a running joke, said Jasmin Smith, a Mountain View Community Council member and businesswoman. "Why are we proud of being the 1989 neighborhood of the year?" Smith said. "That was 30 years ago." Then, earlier this month, city crews removed the old signs near Davis Park and the intersection of Reeve Boulevard and Commercial Drive, and installed new ones. The new signs read: "Most Diverse Neighborhood in the USA 2017," a reflection of a more recent source of community pride. Trumpeted in a national CNN story early last year, Mountain View has gained distinction as America's most diverse census tract. The label is rooted in research led by Chad Farrell, a sociology professor at the University of Alaska Anchorage who analyzed census tracts in America. Farrell and his team found that Mountain View had the highest number of similarly sized racial and ethnic groups, and has since 2000. "Diversity is, of course, a loaded term. It means different things to different people," Farrell said. In his research, "diversity" means that no one racial or ethnic group is significantly predominant over another. In Mountain View, there's a wide range, including Alaska Natives and Pacific Islanders, Farrell said. At a time when America's demographics are shifting in consequential ways, Mountain View is a litmus test for how racial and ethnic differences play out on the ground, Farrell said. It's also a source of pride for people who live there. 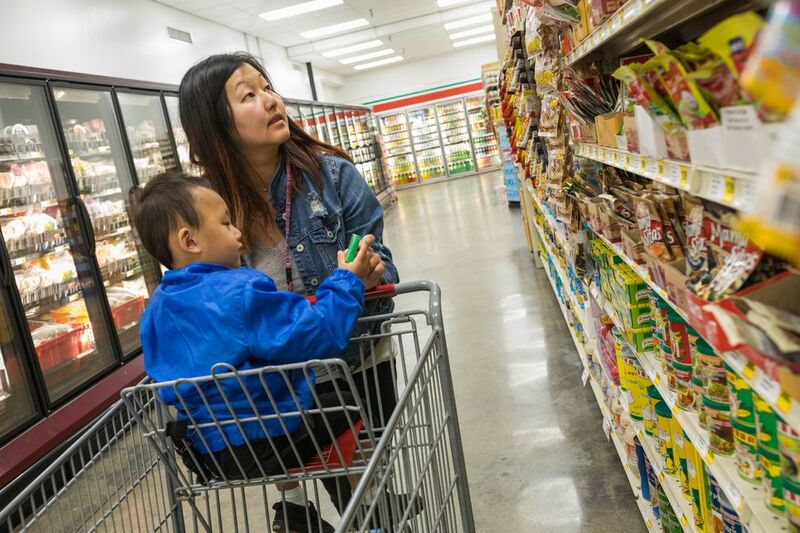 In a post titled "3 signs you're in America's most diverse neighborhood," the Mountain View Post, a hyperlocal website run by journalist and resident Kirsten Swann, pointed to the way those different groups inhabit the neighborhood. There are the Sudanese food trucks and the halal market, the wide selection of foreign-language movies at the library and the places of worship, ranging from Korean and Samoan churches to African Methodist Episcopal and Buddhist congregations. 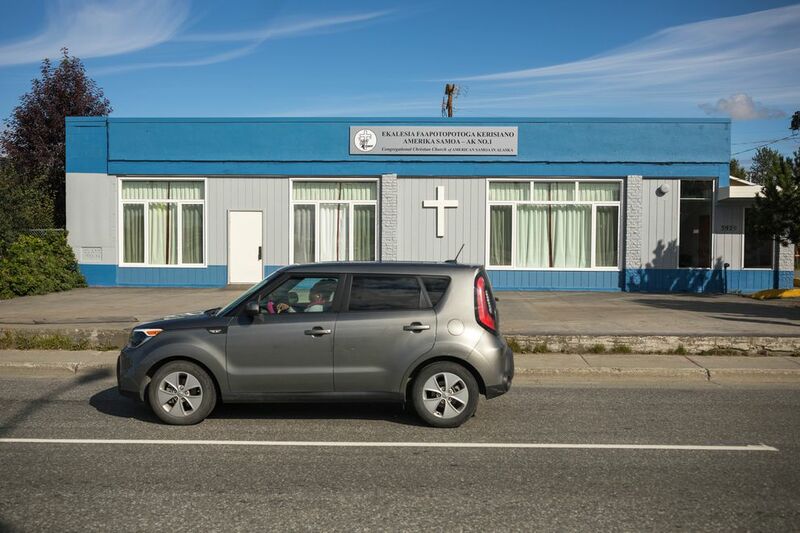 A patchwork of homes and a commercial district bordering a military base in Northeast Anchorage, Mountain View is among the city's poorer neighborhoods and has also struggled with crime and violence. Good news is always welcome, and it was a big deal in 1989 when the national organization Neighborhoods USA bestowed the "Neighborhood of the Year" award. Nikki Burrows, 77, was among those involved in applying for the award. She traveled to the Neighborhoods USA conference in Seattle that year to give the presentation on Mountain View's clean-up program. Burrows still lives in the same house in Mountain View where she moved with her husband in the 1960s. She wasn't thrilled at first about the idea of replacing the old "Neighborhood of the Year" signs. The signs were very important to her, and it took a lot of work to apply, she said. She isn't aware of efforts to apply for the award a second time. But Burrows and others were happy about the "most diverse in the U.S." distinction. "So I'm OK with the new sign," Burrows said. Talk of swapping out the 28-year-old signs began months ago. In May, the Mountain View Community Council passed a resolution supporting it. Council treasurer Radhika Krishna, who also works at the Anchorage Community Land Trust, a Mountain View nonprofit that supports business and community development, then contacted the city Parks and Recreation department. She also called Farrell at UAA to check that the "most diverse" characterization hadn't changed. Parks crews installed the new signs last week, at a cost of about $8,000, said John Rodda, director of the parks and recreation department. 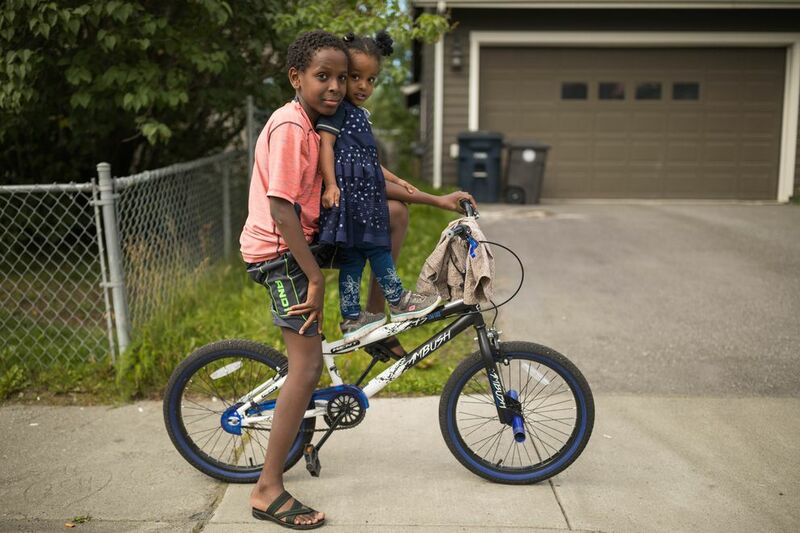 "We're all about the diversity, all about trying to recognize the neighborhoods," Rodda said. "They oftentimes feel they get the short end of the deal." 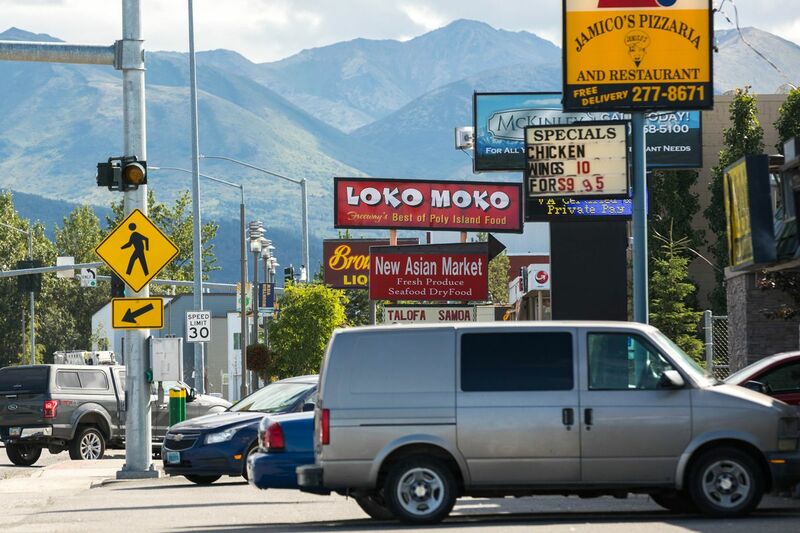 Elected officials, neighborhood leaders and groups like the Anchorage Community Land Trust have stepped up efforts to make Mountain View a better place to live and work. A farmers market sets up on Thursdays in the summer, and there are new initiatives to help unemployed people find work. New businesses have opened up and down the commercial corridor. Some old problems persist. At the Mountain View Community Council meeting on Monday, the few residents attending heard reports about random shootings in the neighborhood and used drug needles accumulating in the trees by the library. In June, a GCI store closed after a daytime burglary. Company officials have been evaluating the safety of the store, with the help of city and police officials, said GCI spokeswoman Heather Handyside. Smith and others see the new welcoming signs as a symbol of change and moving forward. The 1989 sign, Smith said, just served as a reminder that Mountain View has often been overlooked. "For us, it's important to get it changed," Smith said. "Letting everyone know that we're here. And we're current."